Georges Lefebvre was one of the most highly-regarded historians of the 20th century – and a key reason for the high reputation he enjoys can be found in The Coming of the French Revolution. Lefebvre's key contribution to the debate over what remains arguably one of history's most contentious and significant events in history was to deploy the critical thinking skill of evaluation to reveal weaknesses in existing arguments about the causes of the Revolution, and analytical skills to expose hidden assumptions in them. Rather than seeing events as driven by the aristocracy and the bourgeoisie – which then lost power to the urban workers – as was usual at the time, Lefebvre deployed years of research in regional archives to argue that the Revolution had had a fourth pillar: the peasantry. 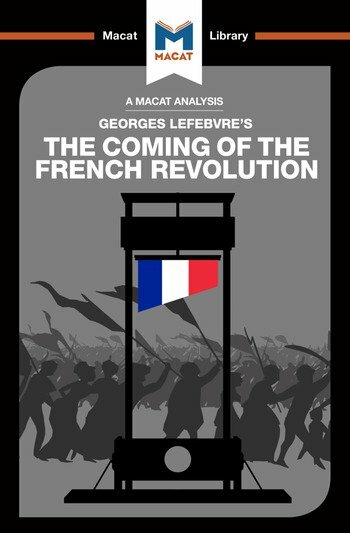 Painting the upheaval as complex and multi-layered – while still privileging a predominantly economic interpretation – Lefebvre provides a compelling new narrative to explain why the French monarchy collapsed so suddenly in 1789: one that stressed the significance of a ‘popular revolution’ in the rural countryside. Dr Thomas Stammers is lecturer in Modern European History at Durham University, where he specialises in the Cultural History of France in the age of revolution. He is the author of Collection, Recollection, Revolution: Scavenging the Past in Nineteenth-Century Paris. Dr Stammers’s research interests include a wide range of historiographical and theoretical controversies related to eighteenth and nineteenth-century Europe.